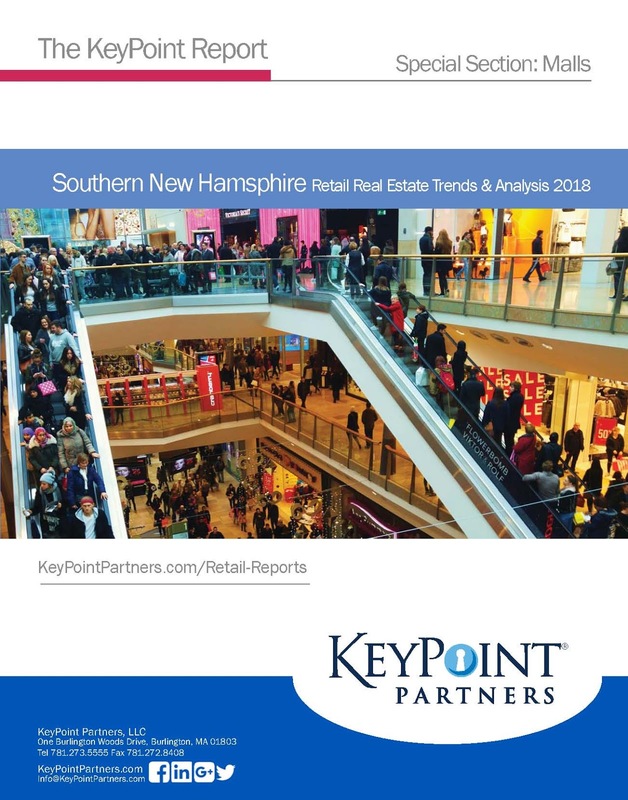 Inventory and Vacancy Rate: The retail inventory in Southern New Hampshire included 29.8 million square feet in 2018, indicating no appreciable change from a year ago. Vacancy increased 41,200 square feet, equating to a vacancy rate of 9.3% compared to 9.1% last year. At the same time, the higher vacancy rate can be attributed to store closings involving just two retail firms, Toys R Us and Walmart. Toys R Us closed four namesake stores and two Babies R Us stores while Walmart closed two Sam’s Club units. Offsetting these store closings were store openings that filled a number of large format vacancies. Three vacant Sports Authority stores were, or will soon be, occupied by replacement tenants including HomeGoods and Sierra Trading Post in Nashua, Cost Plus World Market in Salem, and Guitar Center, Party City, and DSW in Manchester. BJ’s already opened in the vacant Sam’s Club in Manchester. A vacant Shaw’s anchored strip center in Merrimack is under redevelopment with Planet Fitness now open. Altitude Trampoline Park also will anchor this center, now known as Merrimack 360, and is expected to open later this summer.